Everything you need to find a home. 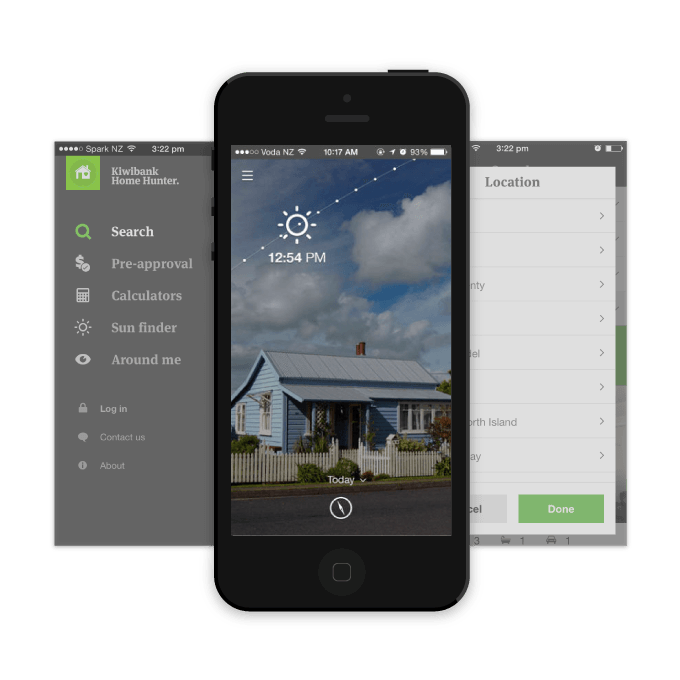 Kiwibank’s dedication to their customers led them to work with Sush Mobile to develop an extraordinary home-buying experience for customers. Augmented reality is used in the Sun Finder feature to let users know what they’re getting into. Users can discover which rooms will get good sun, and which won’t, and quickly find the best spot to plant a veggie garden. It takes about ten minutes to apply for home loan conditional approval. Once you’re conditionally approved, home hunt armed with extra info: View Kiwibank’s estimated price range, along with the R.V. and the seller’s asking price. See which houses get our green tick. This means at first glance it looks good for us to lend against and match your conditional approval (we’ll do the final checks as part of the full home loan process). 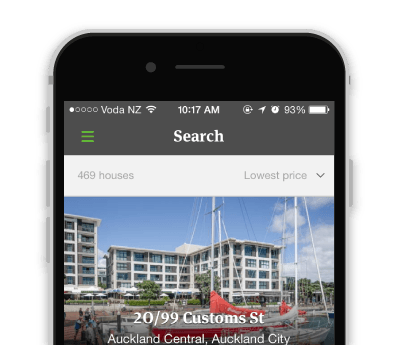 Augmented reality combines GPS location, a digital compass, and the mobile device camera to enhance the house hunting experience and easily locate nearby properties for sale, just by looking around. 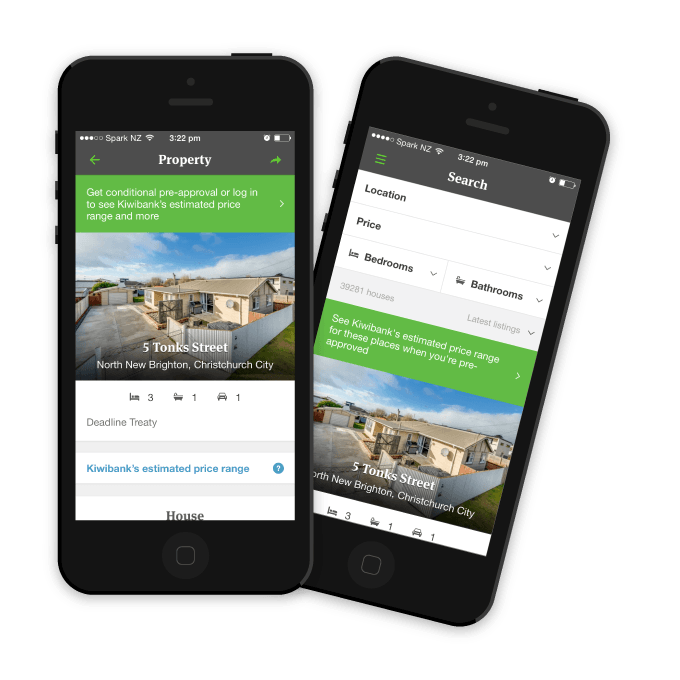 Users can even quickly get an idea of property values of houses in the area.